I squeezed a couple more games into 2015 in the middle of December that I haven't had the chance to write up until now. 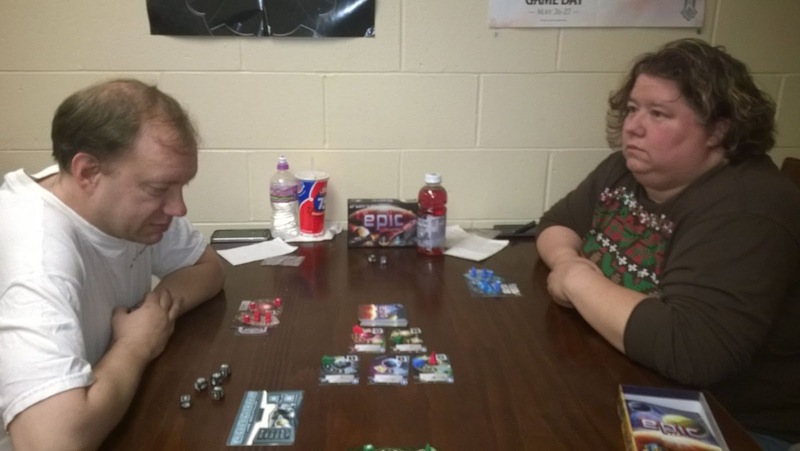 So, let's clear the decks for 2016 by discussing the game I probably played most in 2015, Tiny Epic Galaxies (2015). Although my opponents have both been gaming for less than a couple of years, they are thoughtful, skilled players who aren't shy about employing subtle and/or aggressive strategies, as suits their purpose. I do not underestimate Al or Laura when gaming with them. We played a couple of games of TEG at the December Lake Geneva Games Gameday and they were fast and furious. 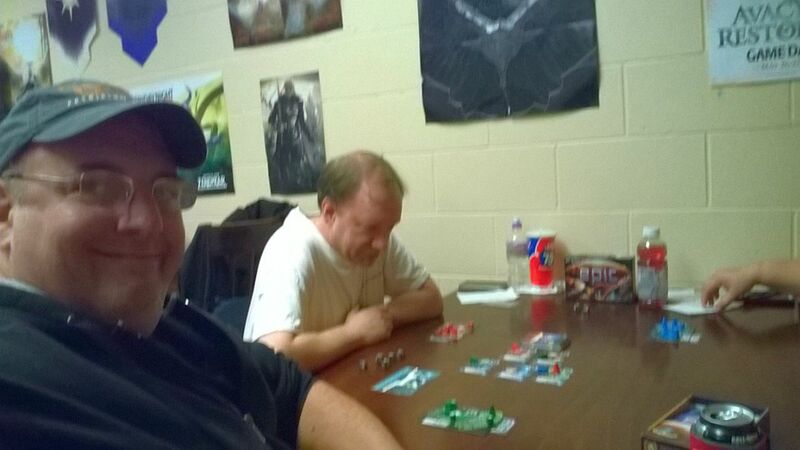 Al had not played before, so we taught him the game even as we brushed up on a couple of the rules for ourselves. When you play as many games as we do, and often with similar mechanics and themes, sometimes there can be a bit of rules confusion. We keep that to a minimum with a few minutes of back and forth with the rules in hand for reference. This time with TEG was every bit as fun as previous times and still felt fresh because of the variety of planets. It's strange how the combination of planet powers can produce a different game so many times but that's the superpower of this game: replayability. 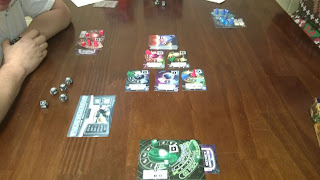 Even with a new player and a rusty one, the two games went swiftly and came down to a difference in points no greater than the secret mission VPs. I continue to be enamored by this game and have yet to try it with the expansion.